How to create an email campaign using HTML source code? We have added this new feature whereby a HTML code area has been provided where the user can add its own html code. 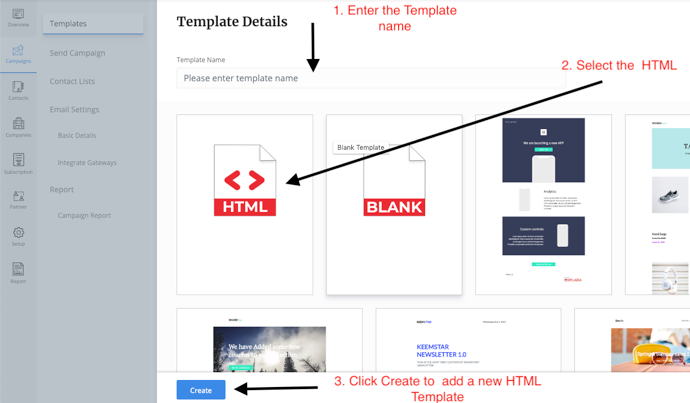 Click the "Create Template" button in Green. 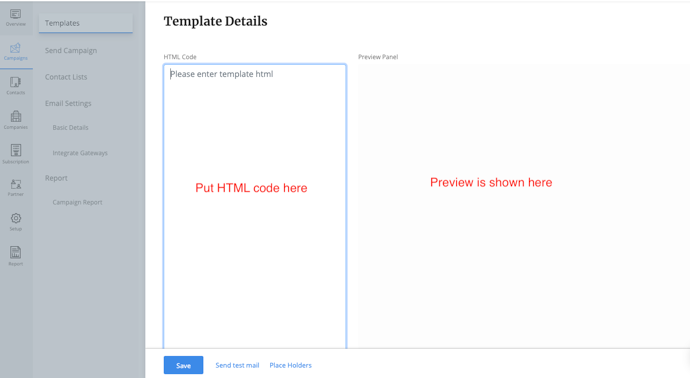 From the Template Details page, Select HTML section, enter the template name and click the create button.